I love literacy center time! There is something about the quiet buzz of 5 year old voices learning about letters, sounds, and words that makes my heart soar! I have a one hour block of literacy centers in the morning. I am lucky enough to not have to pull students for small group work during that time, so I can be completely engaged in what the children are doing. We have a separate 30 minute block for small group work where paras and specialists push in. This year I have 4 literacy centers per week. Because my schedule is kind of "messy" on Mondays, I decided not to have literacy centers and fill that block with Science and other whole group literacy work. During the one hour block, half of the children are working around the perimeter of the room at tables doing literacy centers. In the beginning, the centers include many exploration activities -- activities that allow children to learn how to work independently. The other half of the class are working at their tables on their journals. We write EVERY DAY! On Mondays, the children will write in their Monday Journals. (This serves as a weekly measure of their growth in writing). It is much easier to write with more children when there are only 8 or 9 writing. (Yes, my class is small this year -- 17 kids right now, and declining because of a change in our Air Force Base's mission, but I had 21 last year, and this model still worked great!!). Soon, I will start having more in-depth conferences with 4 children every day - working on specific skills they need. After 30 minutes, we gather as a whole group, I teach a mini-lesson or we do a quick activity, and the groups switch. The group that was working at a literacy center will now write in their journals, and the kids writing in their journals will now do a literacy center. This shows the separation of groups for literacy centers/writing. The top group always does the literacy centers first. The bottom numbers are for my math centers. The children do one literacy center a day, and by Friday will have completed all of the centers. It can be a bit more work to plan new literacy centers every week, but I have found that I can better target the skills that the children need when the centers keep changing. These are the alphabet boxes from Lakeshore Learning. Matching upper and lower case letters. These are from Lakeshore Learning (I think they're discontinued now). There are tiny letter beads inside of the shaker. The children shake it, find and identify the letter, and then color it in on their sheet. You could also use a water bottle with rice and beads or a baby soda bottle. One of the children discovered a GREAT way to use the magna doodles -- instead of copying the letter, lay the letter card directly on top of the magna doodle and trace the letter! This gave me the idea to make transparencies to lay over the top of the magna doodle. You can do a variety of different skills! If you would like to download a set of ABC outline cards for play-doh letters, you can download Kim Adsit's for FREE here. There were only 3 comments telling me what your favorite Kim Adsit resource was, and the rules were that you had to both post and follow my blog. So... Congratulations! (Please send me an email at: growingkinders@gmail.com so I can e-mail you your prize! Kim has listed MANY more resources on Teachers Pay Teachers - you should definitely go and check them out. Her Reading Is Fun: Comprehension Strategies are amazing! So many great ideas there to get children really engaged in what you are reading (or they are reading!). I'll post more on those activities later. Thanks again for participating in my first give away! I am so excited to be teaming up with Kim Adsit for this giveaway! Kim has been amazing to let me preview her new items up for sale on Teachers Pay Teachers. I was lucky enough to go to many of Kim's sessions at the I Teach K conference in Las Vegas this summer. She has great tips and ideas that can be incorporated right away in your classrooms. So, I bet you're wondering.....what is the prize? Jack Hartmann's Names in Motion! So, how do I win this awesome prize? 1. Follow me on this blog. 2. Go to Kim's Teacher's Pay Teacher's page by clicking here and browse through all of her activities. 3. Post a comment about what your favorite resource is. Be sure to leave your e-mail address. You must do all three things to be eligible to win the prize! Contest deadline will be Sunday, September 26, and I will announce the winner on September 27. P.S. Her stuff is really almost too good to pass up - browsing may turn into buying!! Establishing the belief that Kindergarteners can read before they really know how to read is so important! They develop so much confidence and begin to take risks in their reading and writing. Our morning message for the first few weeks is the same every day! Today is (insert day and date). It is (insert weather). As the children's confidence increase in reading this highly predictable message, I start taking out letters, numbers, and eventually whole words! Reading this message every day builds their self-confidence and they're so excited when other teachers come in and they can "READ" the message to them! Doing morning message also helps children to understand the way we read - moving from left to right on the page. They are very excited when they get to come up and circle or write a letter or use the pointer to read! During our morning message we also spend some time circling letters we know, adding punctuation, play a matching game, make tallies and so in. I will add a picture of a morning message next week! Children can also read environmental print from a very young age! Helping children to understand that reading those signs is really reading is also a confidence booster! Environmental print is everywhere and is a great way to start teaching children about print all around them. We did this very simple activity the second week of school. The children cut out the signs that they can read and glue them in their book. You certainly can make the books "fancier," but in the essence of time at the beginning of the school year, they are simple construction paper books!!! The children became very excited about all the things that they could read. They took their "I can Read" books home to their parents to read that night. PS - It's also great for cutting practice at the beginning of the year! The next three photos are from a conference that I went to presented by Dr. Jean! Children may or may not come to school knowing the letters in their name or even being able to write their names. Using children's names can be a powerful tool in developing some emerging literacy skills. When we teach using children's names it establishes a greater sense of community and ownership in the classroom. Children love to hear and see their names; they are so proud of them! There are so many skills that can be taught with names: alphabet recognition, phoneme substitution, phoneme deletion, beginning sounds, number of letters, syllables, rhyming....the list goes on and on! In this lesson, I used the first letter of the children's names. But, before we started reading the book, we did a fun music and movement activity. All you need is Hap Palmer's Learning Basic Skills Through Music, Vol. 1 and a set of alphabet bean bags or alphabet cards. Lay the bean bags on in circle on the floor and let the children march around the bags -- follow the instructions on the song, Marching Around the Alphabet! The children have a great time with this song, and it's mellow pace is really nice! After moving our bodies a bit, I read the book, Alphabet Under Construction by Denise Fleming. 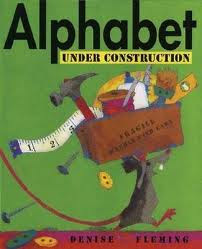 This is a fun ABC book in which the little mouse uses different tools and items to build each letter of the alphabet. The children really enjoy seeing what the mouse will use to create each letter! This is a really nice first couple of weeks activity because the children have the opportunity to be creative freely and work indepedently. Before we hang the letters up, we write our name on a slip that says, is for _________ and glue that along with our letter onto a larger piece of paper. We try to read all letter and the name before it gets hung up. The children love to use a pointer to try to read the letters and the names! This is an idea that I got from some of my colleagues. This was a quick, fun activity that we did the first week of school. I typed all of the children's names in a document, and changed the font from black to gray. Each letter was in its own box. (I made a table). I'll use these same tables for name puzzles in a couple of weeks. The children each got their own name, traced the letters in their name, cut it out and glued them on the red strip in order. This simple project gave me a very quick, informal assessment on who understood left to right directionality, who knew the letters in their name, as well as if they knew what order their names went in. I had a few kiddos with upside down letters, and names that went from right to left. The next day, we sorted the names by the number of letters it had. Each child counted their own name and placed it in the correct spot on our floor graph. The children were all very excited when it was their turn to count the letters in their name! We will continue with many more name activities during the first weeks of school! 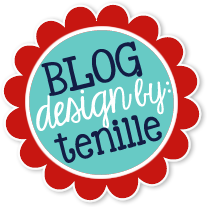 Thanks for stopping by and visiting my new teaching blog! I hope to pass along great tips and ideas for reading and writing development in Kindergarten! To start things off, I am going to take you a little tour of my classroom. Hope you enjoy! Our class meeting area. I do my daily calendar on our ActivBoard, but also have a Lakeshore Learning magnetic calendar up so I can remember the date, and for substitutes to do the calendar when I need to be absent. I found these sweet little chairs at TJ Maxx this spring. Can you believe they were in the dog bed section? The shelves hold our daily calendar books, our word family/list notebooks (more on those later in the year! ), whiteboards, and other miscellaneous supplies in the green baskets. This is an idea from some of my brilliant kindergarten teacher friends! We took the legs off of the table (stored them under the sink so they wouldn't ever get lost!) so kids can sit on the floor and work here during literacy centers. The cars are our name word wall, and the realia word wall is right next to it. We will be adding to the realia wall next week.